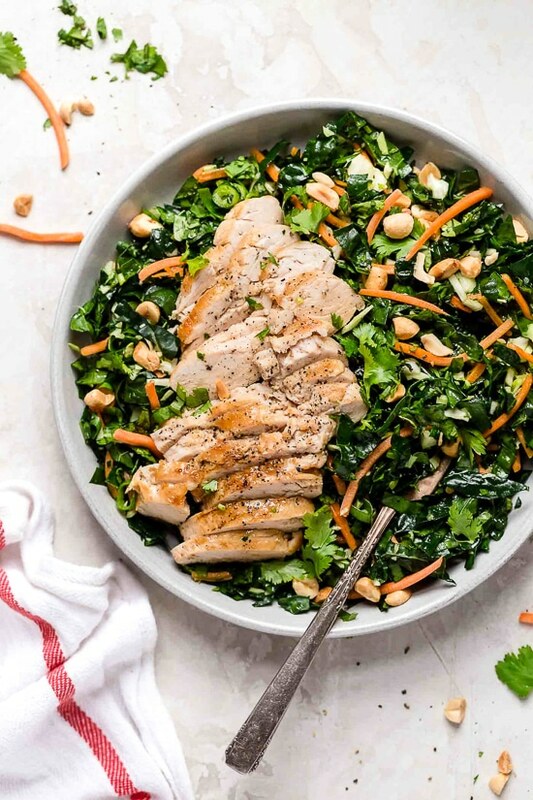 Houston’s (Lightened-Up) Kale Salad with Peanut Vinaigrette is satisfying, made with a combo of grilled chicken, kale, cabbage, carrots, peanuts, scallions, cilantro and mint tossed in a light peanut-sesame dressing. 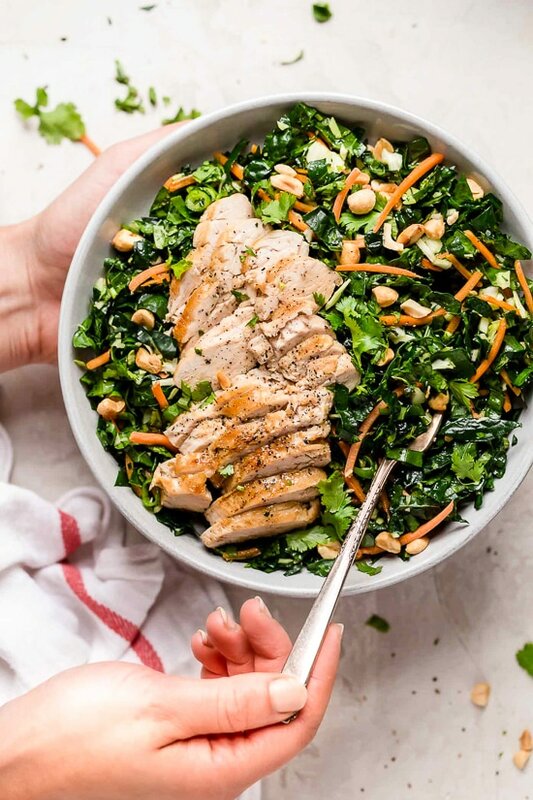 Kale Salad is perfect for fall, my two favorites are this Roasted Sweet Potato Kale Salad, and this Harvest Kale Salad, this peanut version is a great new addition! Hi everyone, I’m Heather K. Jones—I’m a registered dietitian and the founder of Feel Better Eat Better, an online weight loss program for women who struggle with emotional eating, binge eating, overeating or body image issues—click HERE to sign up for my free weight loss workshop available right now! 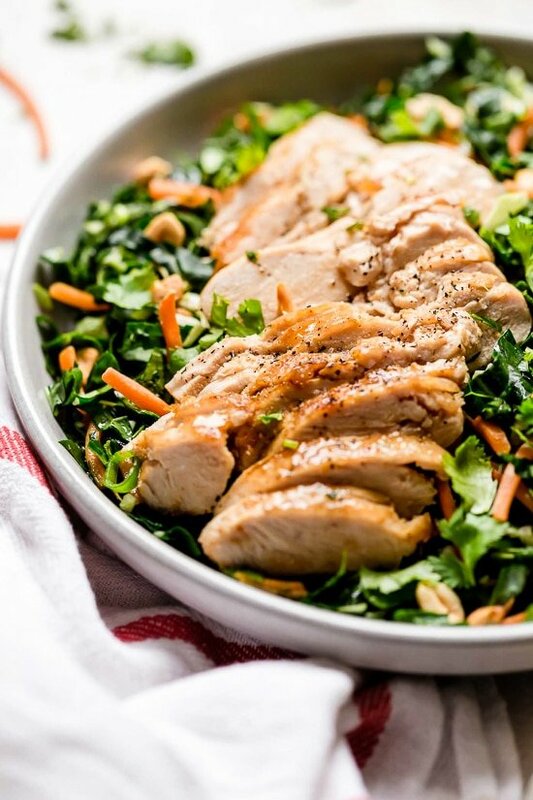 During my college years at the University of Maryland, my sister Cyndi and I waited tables at a restaurant in Bethesda, Maryland, called Houston’s (now it’s called Woodmont Grill), and it so fun to share some their recipes here on Skinnytaste. I shared the this Houston’s Couscous recipe and the ever-popular Houston’s Grilled Chicken Salad and today I’m excited to share their Kale Salad with Peanut Vinaigrette. This recipe is another serious crowd pleaser. My sister Lori brought this salad to her book club a few weeks ago, and literally everyone asked for the recipe. And trust me, once you try this dish you’ll totally understand why. 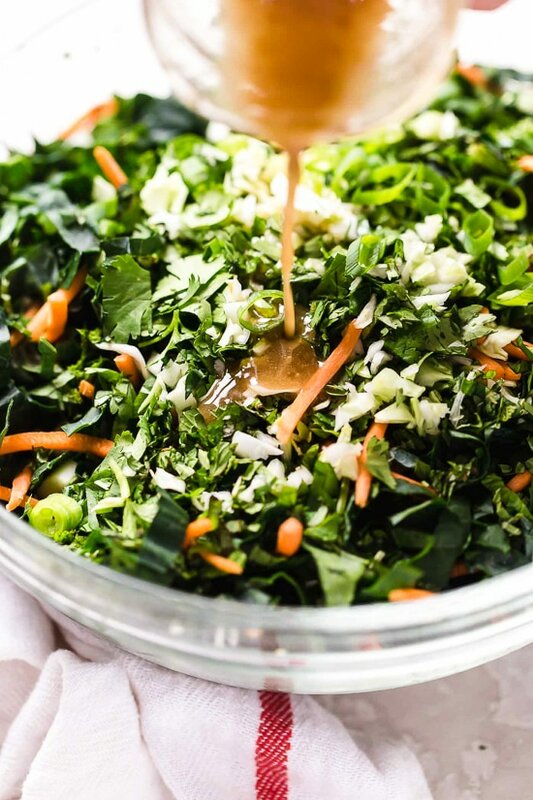 There is just something so satisfying about this earthy combo of kale, cabbage, carrots, peanuts, scallions, cilantro and mint tossed in a light peanut-sesame dressing. To make it complete meal, I added some grilled chicken. Enjoy! In a small bowl, combine vinaigrette ingredients. Preheat outdoor grill or grill pan over medium-high heat. Place chicken between a piece of plastic wrap or parchment and pound to an even thickness. Season with ¼ teaspoon salt and pepper, to taste. Grill for 5-6 minutes, turn and grill for an additional 5-6 minutes more, or until chicken is cooked through. Allow chicken to rest for 5 minutes, then slice thin. 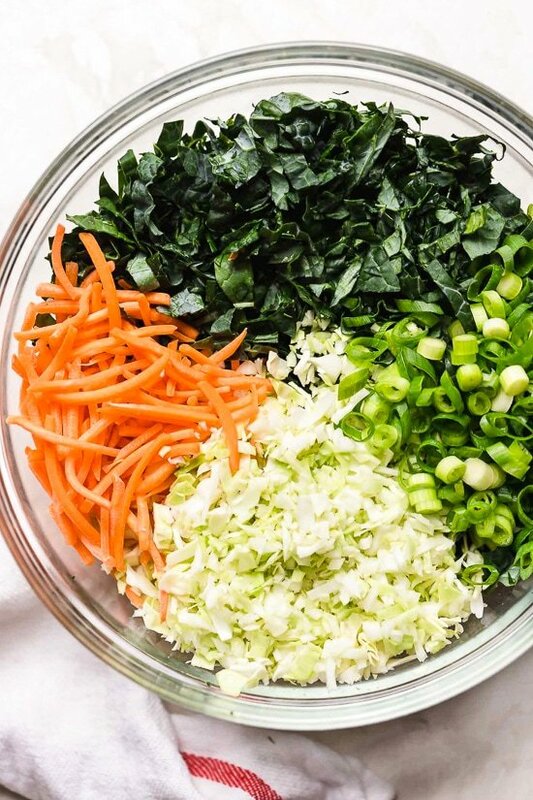 In a large bowl, combine salad ingredients from kale to scallions. Top each with dressing, toss to evenly combine. Divide salad evenly on 2 plates or bowls, top each with chicken and peanuts and serve.